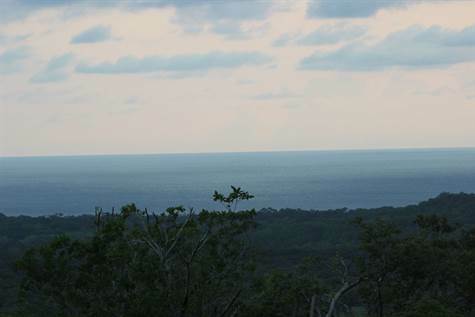 $200,000 USD Ocean Views and Nature! A perfect place for a private ocean view estate home, or rental income boutique hotel... this gorgeous property is one of a kind and has lots of potential. Offering spectacular views looking across the bay to Tamarindo. Peaceful and quite atmosphere with mountains, trees and nature surrounding. Building terrace already cut out for you. Almost 1 hectares of land here and has fabulous ocean views. The land is being sold with water and electricity ready to connect. Corona del Cabo is fabulous residential development with ocean view and mountain view residential lots. A total of 29 home sites, 2 homes already built. The location is ideally just a 5 min drive to the beach and surf in Playa Grande, less than 10 min away from major grocery stores, banks, pharmacies, and quality health care facilities. There are also several private schools within less than 20 min of the property.